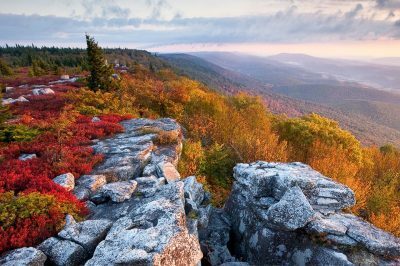 The state of West Virginia could soon witness more development in relation to its sports betting regulation, as the state Lottery Commission submitted its very own Sports Wagering Rule which would aim to provide more clarity regarding the West Virginia Lottery Sports Wagering Act. This is necessary as it would aim to establish how local casino venues are going to implement the new regulation to their future sports betting operation and it propels ahead the process of sports betting legalization. The local community and the gaming field have been eagerly anticipating more development in relation to the sports wagering sector which has been stalling for the past several weeks. Following long delays since its official beginning of consideration and only two days shy from the deadline, the state Lottery filed in the document with the Secretary of State’s Office. The date 8th August was looming over the sector, but the filing in happened within the set time frame for reaction. According to the existing law, the legislative rules which are in need of revision were supposed to be introduced by Wednesday, otherwise sports betting had to be postponed to next year, potentially to March. At the moment the wagering activity is set to launch operation this autumn and as it has been confirmed this is a feasible goal. With the help of this document filed in, state-based casino venues receive green light to legally commence construction of their sports bars and offerings related to gambling on sports events. The general public within the borders of the state would now have the chance to participate in the process and provide its comments in relation to the submitted rules. One of the possible reasons for the considerable delay in the filing in was that the administration was making an attempt at devising a regulation providing professional sports leagues with a share of the revenue generated. It could be recalled that at an earlier stage of the discussion the House of Delegates and the Senate made it known that they do not support the implementation of integrity fees in the future framework regulating the sports betting field. Friday witnessed a situation in which Lottery Executive Director Alan Larrick was prompted by the Legislative Rule-Making Review Committee to utilize the time left until the deadline on Wednesday and introduce the rules in order to avoid crippling the entire process and returning it to the starting point. Delay commenced when State Governor Jim Justice decided to take his time with the review of the set of rules at the beginning of July. Now that the rules have been introduced, the state has secured its situation when it comes to sports wagering and it is well on its way to see it through. Official launch could happen just in time for the new 2018 NFL season which is set to commence on 6th September which is much better than the delay which threatened the sector up until this Monday. Over the span of the following year, sports wagering could rake in some $5.5 million to the state coffers and this is a possibility eagerly anticipated by West Virginia, as it would significantly improve its current budget situation and be reinvested in the community. It has been confirmed that the Hollywood Casino and Inn at Charles Town Races has commenced preparation for its spots bar construction and in order for this to happen, slot devices have to be transferred to another location. There are five casino facilities in operation across the state and they have been weighing their opportunities for reconstruction which could make it easier for players to enjoy wagering on sports events. This would be beneficial as it is known that West Virginia’s neighboring states to the liking of Ohio and Kentucky are eyeing the possibility of sports wagering launch in 2019. In the meantime, Pennsylvania had already legalized sports wagering, but launch is stalling for the time being, which gives West Virginia an advantage in the budding field. In order to acquire a sports betting license, each facility will have to pay as much as $100,000 for sports betting operational license. 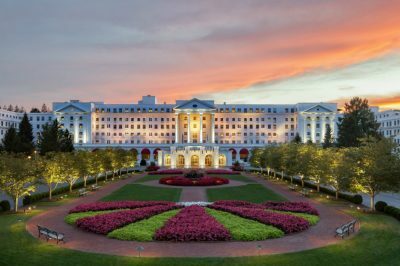 Their revenue generated from the wagering activity is set to amount to 10 percent of their gross gaming revenue, ranking West Virginia among the states with a relatively low tax rate.